Low bridge! Everybody down! That phrase from the famous song about the Erie Canal applied equally to boats traveling the less well-known Chenango Canal, opened in 1836, that connected the Erie Canal at Utica, NY, with the Susquehanna River at Binghamton, 97 miles to the south. 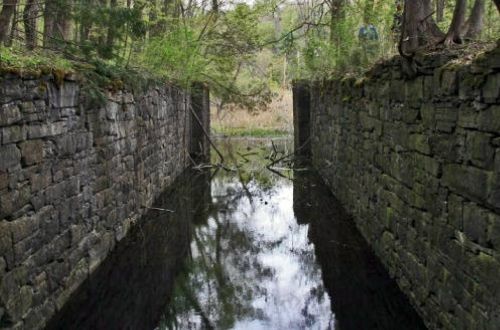 Today, 130 years after it was shut down, just one 5-mile-long segment of the original canal, at the height of land (known as "the summit") in rural Madison County remains intact and carrying water. And along that historic stretch of canal, occupying the original towpath once plod by mules pulling canal boats, runs the Chenango Canal Towpath Trail. 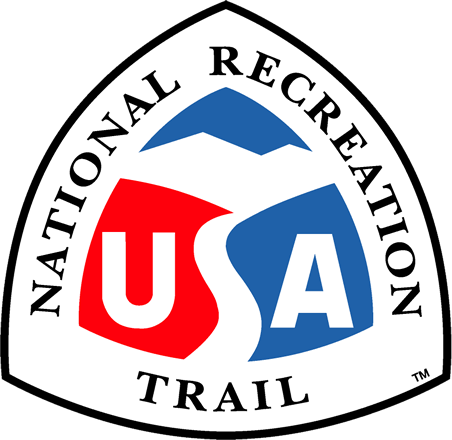 Easily accessible from U.S. Route 20 in Bouckville, where the Chenango Canal Association maintains a museum/visitor center during the warmer months, the level, 12-foot wide, unpaved trail is ideal for walking, jogging, horseback riding, bicycling (when the surface is dry), and cross-country skiing. Three geocaching locations also are in place on it. The canal itself is a parallel water trail that can be explored by canoe or kayak launched from adjacent/crossing roads. The trail extends five miles southward from the remnants of an aqueduct that once carried the canal over Oriskany Creek (north of Bouckville), where the canal water now falls about four feet into that creek, to the south end of Woodman Pond, the site of the first lock of the descent to Binghamton, where the smaller West Branch Feeder Canal still enters from the west. From there, it follows the abandoned New York Ontario & Western Railroad bed for another mile toward the Village of Hamilton. Work already is underway to extend the trail for another three miles to Hamilton along this rail bed and another short, restorable section of the canal and towpath at the edge of the village. Just walked part of this trail the other day with my dog. We both loved it. Yes, I carried a bag for him but he didn't leave his markings. Nonetheless, a delightful jaunt and close to home. Thank you for maintaining it! This trail is well maintained and a joy to walk. We have walked this trail and just love it.